So when you have an 80’s themed party it makes sense that these ‘icons of an era’ are fully represented, not enshrouded throughout the venue for ultimate impact. An 80’s themed corporate Dine and Dance event isn’t usually what would spring to mind when you think of “corporate party time”. However corporate events are evolving to be less about the stock standard “dinner and drinks”, and more about the added extra, those wee twists which make an evening great. How light and heart-warming is it to see your co-workers sporting their best 80’s mullet? That’s barrier breaking stuff, the type you can’t pay a team building expert to provide. From the moment our team of guests walked into the themed venue the mood was set with classic 80s music, TV and movie themes playing. The mood was so well executed that some guests took to the dance floor immediately, before the food was even anywhere near serving. When they did manage to find a break in dancing, the guests were treated to a sumptuous buffet meal. What you can’t get with a standard non-themed dinner are the fun and games, a by-product of the effort and creativity put into many of the night’s outfits, like the obvious choice, a best dressed competition. With categories like loudest hair-do through to best 80’s icon and the coveted main prize of best dressed, everyone can revel in the fun and laughter. Dancing was never far from our guests’ minds, and after dinner it was back to the dance floor for a limbo competition, from which sprung many impromptu conga lines that circled the venue. Our dine and dance events are all about having fun! They allow you to choose your theme and run wild with it. For your guests a dine and dance themed event is a clear signal that tonight is all about party time and many will come with the foresight to conserve energy for a night of cutting up the dance floor and this group of partiers certainly did just that. The evening finally coming to an end with many weary from all the dancing – now that’s what I call a fun cardio workout. Simply step inside, the music, the theme and overall ambience will transport you to a simpler and more innocent time, one free of internet connectivity and terms like facebooking and instagram. Although you will be looking so fab that you can’t pass up this opportunity to instagram a shot of you in your best 80’s outfit – after all, it is the 21st century way to party – 80’s style. So why not take the stress out of organising your next corporate or personal event and have fun with a themed evening. The staff at Party Bus will also factor into your per head price and the cost of adding party transport with one of our many party bus options. Transport included as part of a corporate event is always a great idea. Your staff will appreciate the added extra convenience of a pick up and drop off, but also it gives them the freedom from worrying abut who’s driving home. In host responsibility terms adding transport makes you that much greater for including it as a standard part of your team’s night out. Themed corporate events are the new trend and a great way to party with your colleagues. 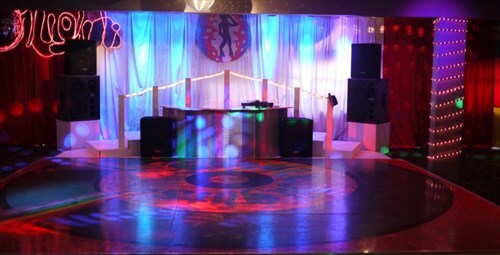 Party Bus now offers a permanent venue in Auckland that is very impressive!